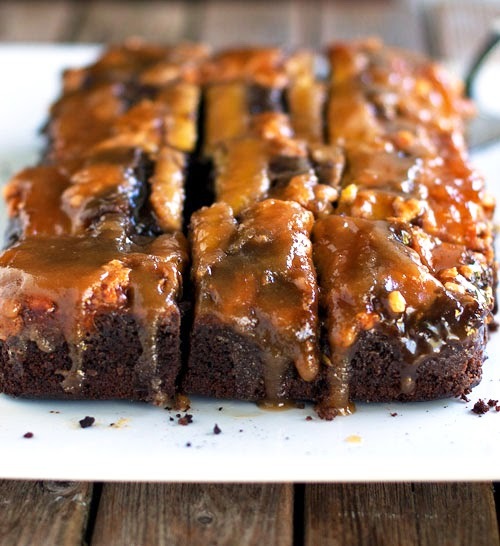 Chocolate PB Banana Upside Down Cake | FoodGaZm..
My kitchen smells sooo good with this in the oven! Can’t wait to try it out. I realized I only had 2 sticks of melted butter so used a combo of butter and Crisco for the choco batter. Cooking time a bit shorter. Not sure how it taste like. Smells great though!